Does your daughter a nice girl's room and still looking for matching curtains? This pink fabric fits very well with all of her other pink items. This fabric is perfect for decorating a girl's room or boy's room. 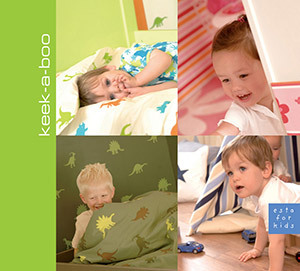 You will find this fabric with plain in pink (184618) the collection Keek-a-boo.